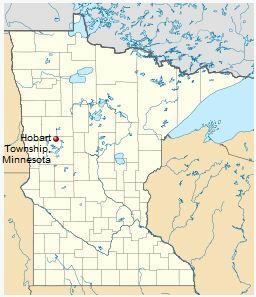 Townships are the original form of local government in Minnesota, established as part of the Northwest Ordinance of 1787 which created the State of Minnesota. Today, the term township generally refers to organized but unincorporated communities governed by a local board of supervisors and created to provide services to their residents. There are 1,781 townships across the State. A town board of supervisors, elected to staggered three-year terms on an annual basis, make up the governing body for most townships. The annual elections are held on the second Tuesday of March each year in coordination with the township's annual meeting. The annual meeting is what really sets townships apart from other forms of local government. At this meeting, the residents of the township have a direct opportunity to have a voice in how the township will be run. They do this by voting on a variety of matters on which the town board must receive elector approval, and most importantly, by directly voting on and approving the township's tax levy for the next year. This means that, with very limited exception, the town board can only spend that which has been authorized by the voters. The board of supervisors are joined by a township clerk and a township treasurer. Most townships elect these positions, with the clerk being elected in the even years and the treasurer being elected in the odd years.